Good Monday morning and a Happy Veteran’s Day to you all. I sure do hope your week is off to a fantabulous start! It was a busy weekend here – I added the finishing touches to my Thanksgiving tablescape, put all of that away and then started dragging out all of the Christmas boxes. I love diving into those boxes every year because I forget about half of the stuff that I have so it’s like going shopping! 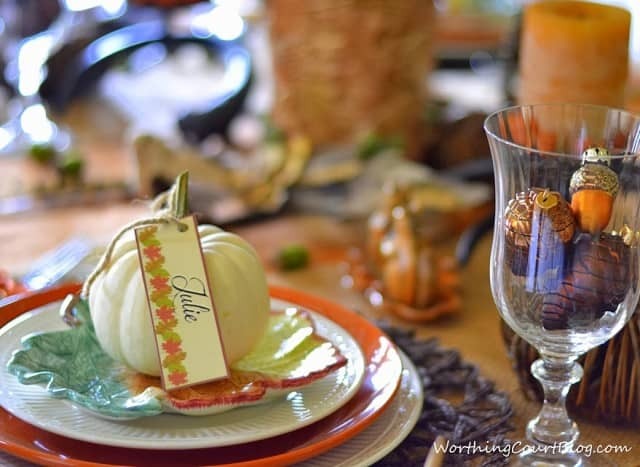 Today is the start of The All Things Home Thanksgiving Tablescape Showcase where twenty bloggers will share their Thanksgiving tablescapes. You won’t want to miss a single one so be sure to scroll to the bottom of this post for the daily schedule and a link to each of their blogs. My tablescape is on tomorrow’s schedule, but today I wanted to go ahead and share the free place card printable that I made. My handwriting isn’t the greatest so I chose to use PicMonkey to add the names to my place cards. Your handwriting is probably a lot better than mine! After printing the place cards, I punched a hole in one corner, ran a length of twine through the hole, tied a loop and placed the loop around the stem of the little boo pumpkins. I used natural colored cardstock to print mine on, but you can use any color that you like. This is what my printable sheet looked like after I added names. I used the Jellyka Delicious Cake font, in case you’d like to use the same one. 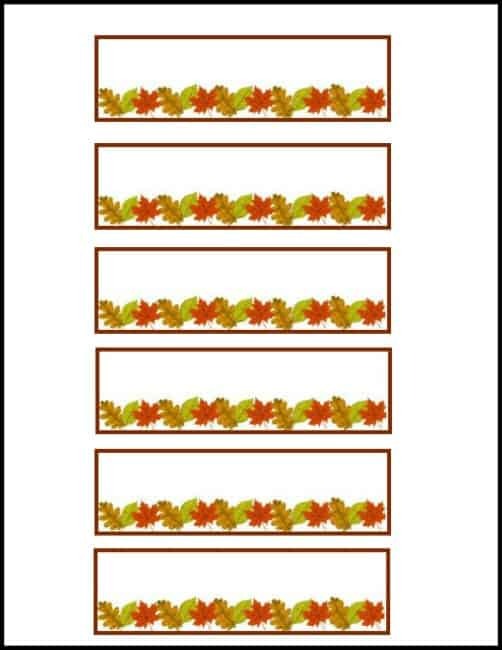 Click HERE to download the sheet with six blank place cards. 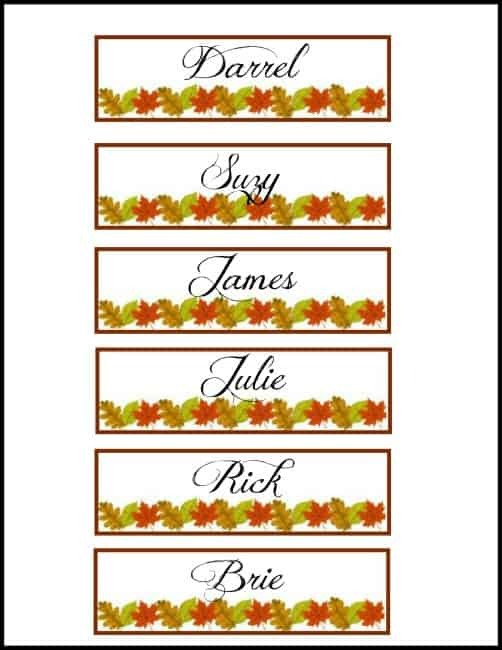 Click HERE to download an individual place card. 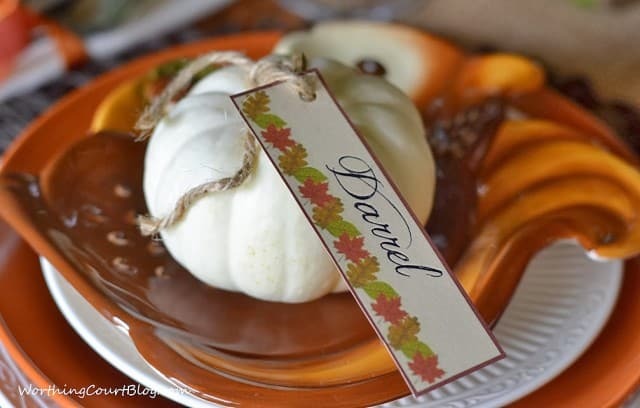 I’ll have something else coming later in the week to use at your Thanksgiving celebration that coordinates with the place cards. 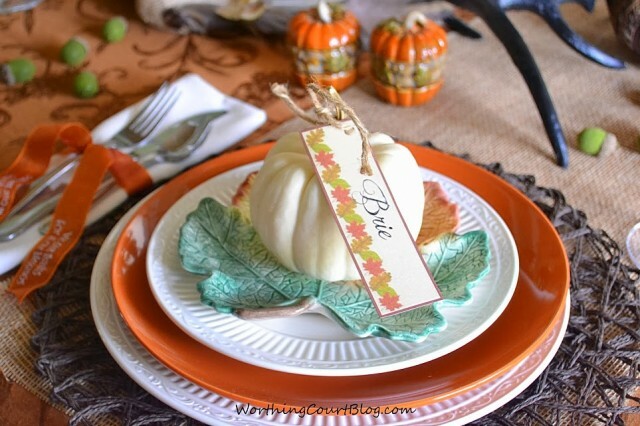 You’re sure to find loads and loads of Thanksgiving tablescape inspiration from these bloggers! I love your printable placecards Suzy! Thanks for sharing! The placecards are so cute. your whole table is really lovely!